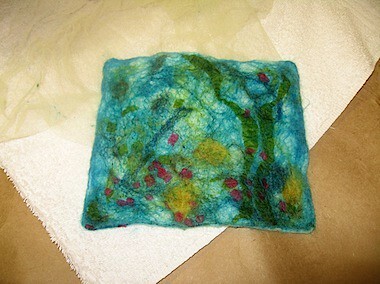 I took a fabulous nuno felting class last night. 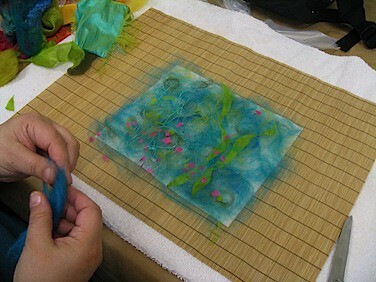 My friend Suzanne Morgan creates amazing fibers and teaches classes. You can see her website here. 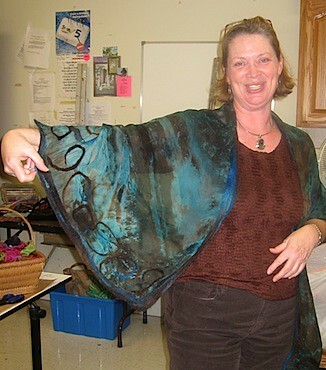 Yes, she dyed that silk wrap and added the nuno-felting details. Yummy. Nuno felting is the process of combining wool and silk -- that's my inexperienced general description. 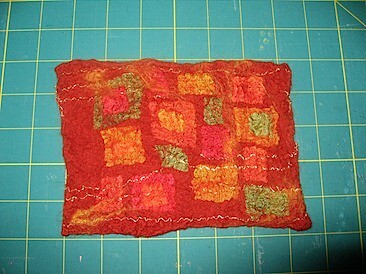 More yummy nuno felted goodies. We started with a base of felbie -- that's the redish base piece. 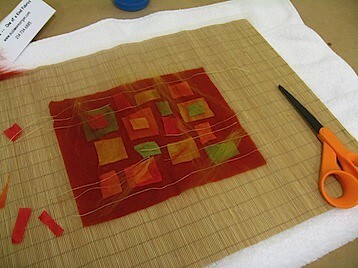 Then added silk pieces on top. Next we added wool roving and some dupioni threads. I am thinking "autumn" so I used these fall colors. Then we rolled them up in the bamboo mat and rolled until our palms were bruised. (You think I'm exaggerating?) Here is Michelle rolling her piece. Here is my finished piece. It's so textural! This photo isn't great. I took it with a flash... which never results in the best image. But, isn't it interesting?! I love the way the silk bubbles up over the wool. April was working next to me. 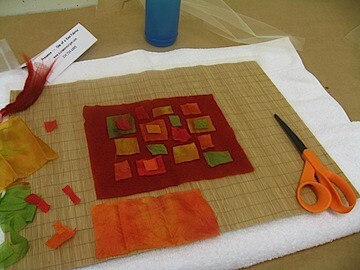 Here is her piece before the felting process. And here is after. It looks like an underwater landscape -- I love it. This whole project was completed in less than two hours! 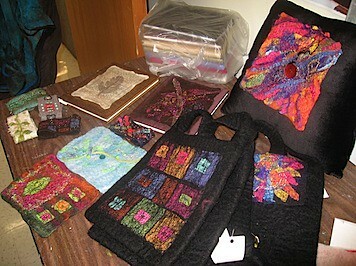 Suzanne provided beautiful kits with the felbie prefelt and bits of her beautiful hand dyed silks plus roving. She sells these kits on her website too. I just may have to buy a few more. It would be a really fun project to do with an art group. There are even excellent instructions on her website. The only other thing you would need would be a towel (you've got that right?) and a bamboo placemat. Hmmm. The creative wheels are turning! I love nuno. I have the roving, the silk, the bamboo mat, the books of instructions — I need a class!! I've dry felted and wet felted, but not yet Nuno felted. 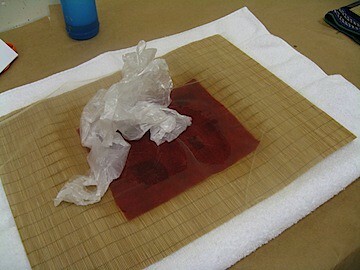 I have a shawl sized piece of hand dyed silk and poppy colored roving though, so I'm not sure what I'm waiting for. Your piece is lovely. i've never attempted this but i've seen some out of this world gorgeous shawls that drape beautifully. are you going to run with this? Looks scrumptious. I want to come over and play with you! Hey, sweetie. I do needle felting and knitted/crochet felting. I have GOT to try this!!! I would like to make a scarf for my sister for her 50th birthday. I think she would absolutely love something like this!!! 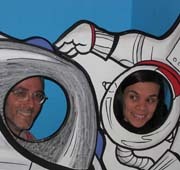 Thanks for posting, I will be following your blog as it is totally cool!! !